This is a 3 V Cola rectangular porcelain sign. This particular 3 V Cola sign has gold-colored shadowing under “3 V Cola”, but is otherwise black and white. 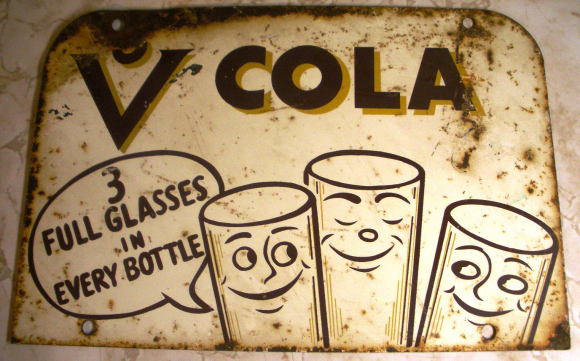 It reads, “3 V Cola, 3 Full glasses in every bottle” and features three smiling glasses.